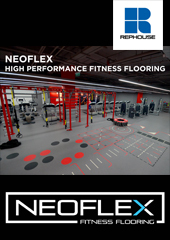 The fitness industry is neatly poised at the nexus of wellness. A cornerstone of health. A vessel eager for technology. The exemplar of behavioural change. But in the race to own ‘lifestyle’, we find ourselves sparring other heavyweights for both the mindshare and wallet of our shared consumer. On the one hand, healthcare teeters perilously in a world displaying massive disregard for health and planet, and on the other, human performance is accelerating. We stand with a foot on each path; the fat getting fatter, the fit getting fitter – both addicted to their urges. The strengths, weaknesses, opportunities and threats of the fitness industry lie before us. Of course, fitness is the best industry in the world. We deal in the bitcoin of bicep curls, health and happiness. We are the broad shoulders on which lifestyle itself stands. We can consume it socially or inhale it solo. It’s part of what makes us human. Without health we have nothing. Everyone agrees. Since inception, our industry has proliferated; we can do Tai Chi in the Andes, float in salt water, party on a bike, tackle an obstacle race, become the fittest human, find our tribe, map our run, rate our workout, close our rings. We’ve made a dent by creating content, building communities and starting a riveting conversation. Humans are inherently lazy. In a voice-activated and soon to be thought-activated kinda world, we won’t need to do a damn thing. We can just lie back, wait for full-entity automation and swallow silver pills that suspend us in a state of optimal human health. When it comes to the 80/20 rule we entertain the smaller slice of the developed world. The remaining motherlode is the fun-zone of motivating the unmotivated. And we’re up against a formidable foe; screen-time addiction, over-consumption and the immersive seduction of a sedentary, sugar-laced, fantasy-world of dopamine-draining pleasures. Historically fitness has been 1D. We were primarily body-focused. Thankfully nutrition entered as a key fundamental and a broader balance of mind-body-soul protocols ensued. We’ve lost more people than we’ve kept and done an average job with the ones we did. 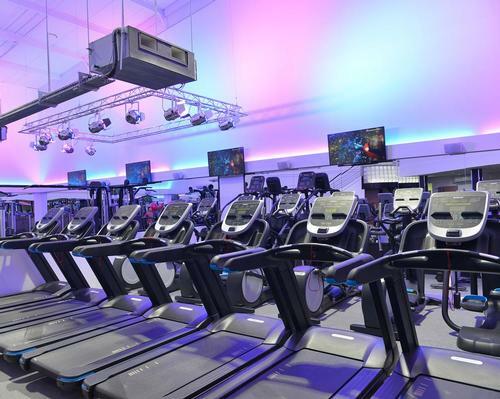 Gyms have slogged it out for 50 years from community hall to big box, to budget, to boutique. 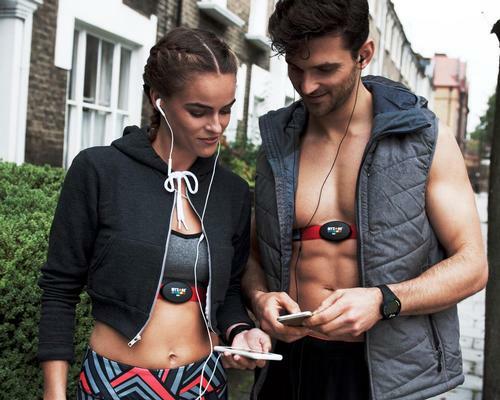 The digital age has now put the gym in our pocket as we go borderless. 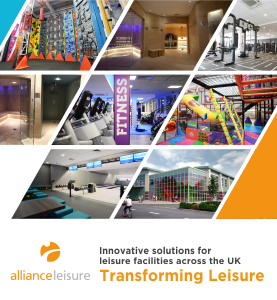 Adjacent industries trading in complementary commodities; entertainment, tech, health, athleisure, franchising, food, social media and gaming just stepped onto our playing field. Fitness started as a hobby; ‘I left my high-paying corporate role to follow my passion into fitness’. A great set of legs and a personal-trainer boyfriend launched a slew of instafamous stars. The fitness mafia of chain-owning gentlemen aside, money-making has generally not been a benefit of fitness. Unfortunately, there is an abundance of hand to keto-eating-mouth, riches to rags stories. The fitness industry has been slow to adopt tech. Peloton plucked the yellow jersey from our closet and wheeled us into our living room to bring boutique-fitness to our home. This deft software and hardware play with a hefty price-tag has seen them crowned the ‘Netflix of fitness’. 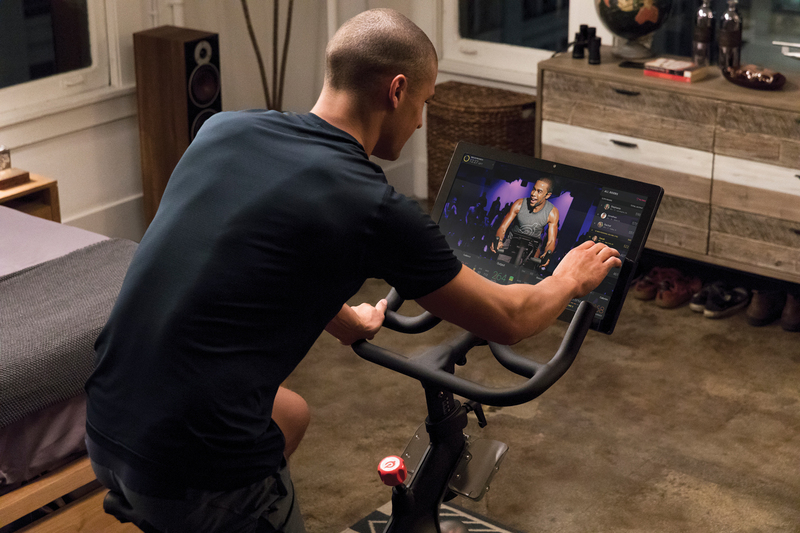 Peloton also promptly shut the door on discount business models, by releasing an app that lets you train on the dusty treadmill and bike still in your basement. Smart. ‘Alexa, make me a shake’ (with the exact ingredients automatically replenished from my smart-fridge requested by the biometric chip embedded in my wrist). Take away all the mundane repeatable tasks in your fitness processes and hand them to a bot. Then dial up what’s left. Revel in deeper connection, sensory entertainment and curious problem-solving. 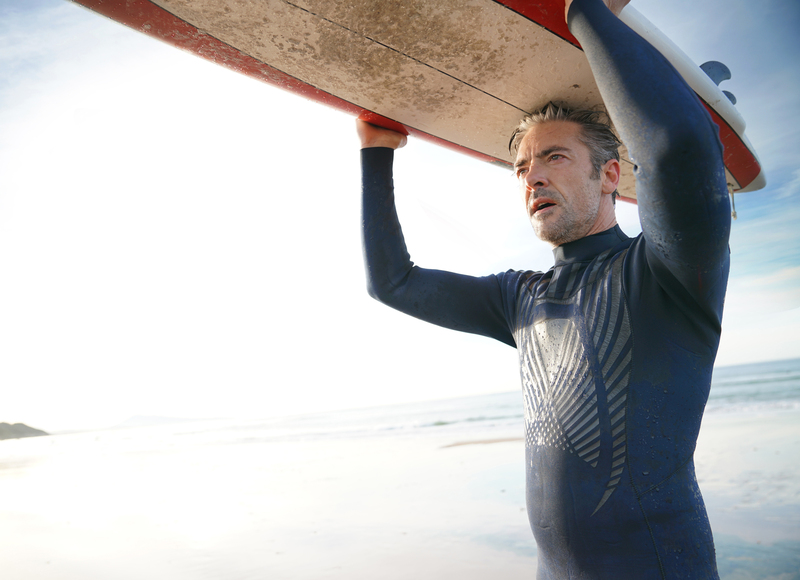 Fitness has been personalised, digitised and ‘celebritised’. Avatars grace the gym, influencers rule the world and ecommerce delivers to our doorstep, like, yesterday. Work out how to interact with this real-time, on-demand world. And fast. We have never been so under-slept, overstressed and unfocused as we are now. Because of technology. And yet, the same evil that sat us down is pulling us back. Meditation rules the apps, Apple tells you when to stand up… Whoop grades your sleep… We’re taking orders from the mainframe to find our way back. Oh, the irony. Holding onto youth and function is the new now. Regardless of how much cosmetic assistance and genome editing we undergo we can still find ways to spark joy through movement. Innovation comes from the edge – the combustion of existing ideas not yet combined. Soul Cycle didn’t come from fitness. Peloton didn’t come from fitness. It’s up to you to partner with a new perspective. Screens are a stepping stone. Eventually we’ll interact directly with our world(s), in mixed reality. Wearables won’t be worn, they’ll be embedded. Screens won’t interface, we’ll gesture, blink and think. The only screen left will be the big one that we are in; cue Matrix, Gattaca and Ready Player One. Information used to hold value. Not now. The ever-growing galaxy of data is being mined, machines are learning, humans are being served through their preferences, predictions are paving the future and frictionless commerce is streaming seamlessly from the ether. As any great CEO will attest, it’s about the quality of the question. So, what’s yours? Aaptiv showed us the relevance of vocal guidance. Tim Ferriss and other early podcast-adopters showed us the power of storytelling. Diagnostic tools like 23andme and sensors align us scientifically with hyper-personalised health to match nutrition and movement protocols to our DNA and daily needs. When the economic downturn hits, cost-effective fitness delivery is ready. Are you? Fitness is a fledgling business. Very few brands are like Equinox and don’t have the foresight (or frankly the capital) to extend experiences beyond the immaculately coiffured studios into travel and lodging, virtual coaching and wellness. It’s unlikely we’ve done enough to outpace inevitable newcomers to our industry. And those newcomers aren’t so new. And their pockets run deep and their databases wide. Netflix is in fitness. Airbnb is in fitness. Gaming is in fitness. GAFA (Google, Amazon, Facebook, Apple) are in fitness. ‘Nuff said. Fitness rocks as an industry. Fitness has become a precious commodity. Fitness is simply another service waiting to be packaged succulently and served to a primed group of consumers. We are a great industry but we are not yet mighty. Adjacent businesses eclipse us in bankable value and have sat quietly waiting for fitness equity to rise. Now we feel them sidling up to our toned obliques, taking out a well gloved hand and reaching into our little fitness pocket. In the age of partnerships and consolidation, databases and drones, we need to take that hand and shake it hard.